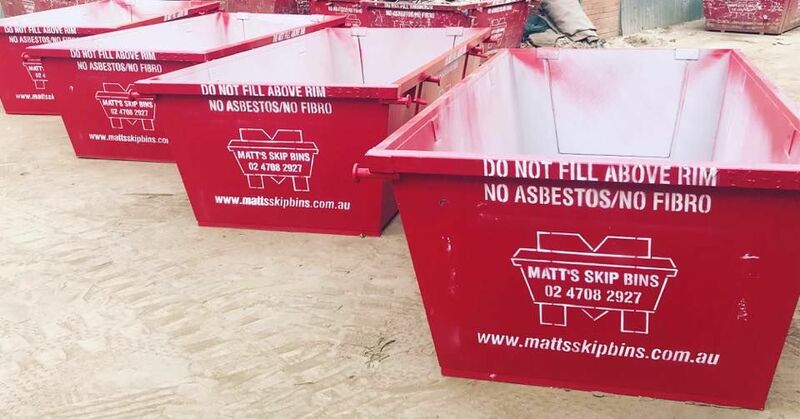 At Matt’s Skip Bins, we have skip bins ranging from two to 10 cubic metres. You could well need only a small skip for a mini spring clean, or you could be a building site requiring several skip bins. 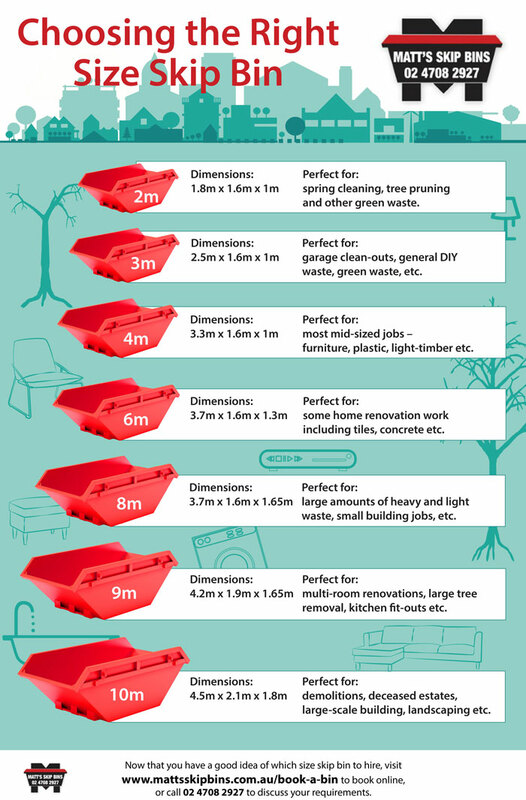 To help you quickly figure out which size bin is right for you, we have created a quick visual to let you know the best use of each skip size. When you’re ready, feel free to contact us on 02 4708 2927 — or book a bin by selecting the size then choosing your suburb for delivery.